Join homestead cheesemaker Julia Gold and find out how how simple and easy it is to make cheese in your own kitchen. We will discuss and sample several simple cheeses that can be cultivated at home. After our discussion we will get to work making Mozzarella and Chevre. You’ll also learn some cooking ideas for whey, a byproduct of cheese making. Students can build on this introduction to create many varieties of cheese at home. While the class will focus on goat cheese, cheese made from milk will also be discussed. Each student will take home the supplies necessary to begin their own homestead cheesemaking: culture, recipes, resources, and cheesecloth. A good concise cheesemaking book is optional, but highly recommended. A list of information and materials will be provided. This hands-on intensive class will cover everything you need to get started making simple cheeses that are easily created in a home environment. You will learn about cultures, equipment, ingredients and cheese making concepts, and will work with both cow and goat milk to complete a number of cheese making projects including: yogurt, feta, ricotta, Brie, buttermilk, sour cream, chevre, mozzarella and cultured butter. The process of making hard cheeses will also be discussed. The end of this two-day workshop will culminate in a community feast in where we share food, sample the cheeses and enjoy the friends we have made working together! Learn how to set up your own cottage-based industry and how it relates to the permaculture concept. Examine which foods are allowable for sale and the requirements for labels and listings. Find out about sales records and how to plug into the network of existing cottage food operations. Nothing is more satisfying than working with a truly sharp kitchen knife! 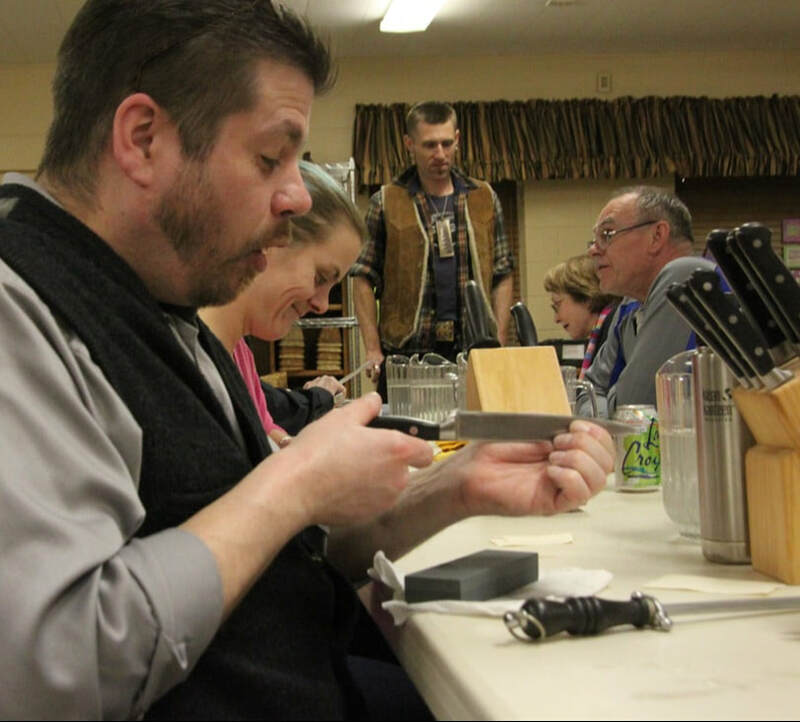 In this class, participants will learn a simple and exact series of steps that will enable you to reliably bring your knife's edge to shaving sharp. While the focus of your lesson will be kitchen knives, you will also learn how to apply the same principles to other tools. While there will be knives on hand for practice, you should also bring knives from your home kitchen to perfect your skills! Learn healthy ways to make soul food. Learn how to fuel your body the right way with simple adaptations of traditional recipes to create healthy, extremely flavorful, low-fat dishes including oven “fried” chicken wings, blackened turkey chops with fruit salsa, collard and kale greens with smoked turkey, black-eyed peas and sweet potato corn bread. Bring your apron, thirst for knowledge, and a hearty appetite for the feast at the end of this workshop. Microgreens are an essential part of the kitchen grocery. Tiny as they are, these young plants pack remarkably intense flavors, vibrant colors, interesting textures and are absolutely bursting with nutrients. Now you can grow your own at home, inside, all year long. You'll receive a brief introduction in how to use them, seeds and soil medium. Turn an ordinary meal into something gastronomically delicious with your homegrown microgreens. The “kitchen grocery” is a term used to describe growing food inside your home kitchen all year round. Since good quality food is expensive, it makes sense to acquire the knowledge necessary to reduce your grocery bills, improve your nutrient intake and maintain a fun project. While it may be unlikely that you can completely eliminate a grocery bill, you can grow certain foods yourself and in a most special way: regrowth. From upcycling basil stems to regrowing celery, a little effort can go a long way. This class will teach you the tricks and guide you through the steps of regrowing. You will take home a few goodies to get you started. Make the most of the summer's bounty of fresh produce by learning how to preserve vegetables through the traditional yet simple method of lacto-fermentation. 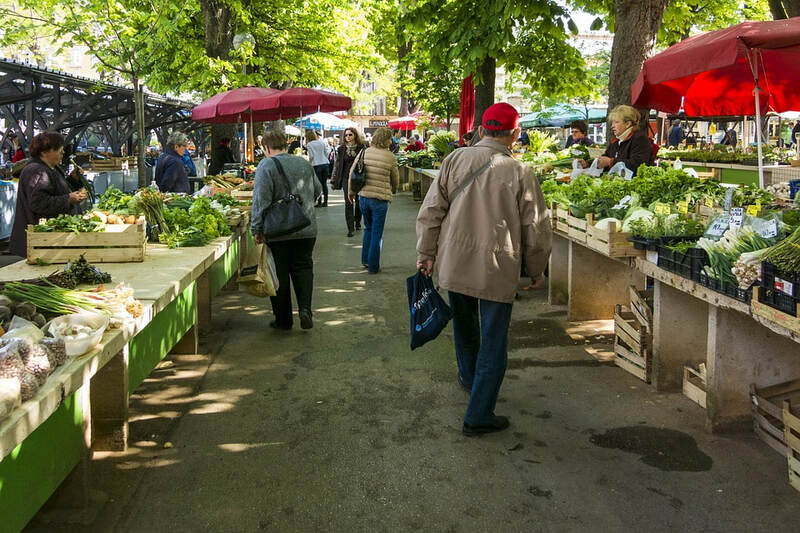 You'll prevent food waste and be able to eat locally all year. Lacto-fermented foods are the foods that can be called “probiotic” based on their production of health-enhancing bacteria. In this class, you will learn how to make sauerkraut and other fermented veggies. We’ll also discuss the healing qualities and nutritional importance of live-culture foods. All participants will bring home a jar of sauerkraut and receive a booklet with instructions and recipes for dozens of fermented foods easily created at home. Using tools and equipment that are standard in every kitchen, you'll leave class with the know-how to create delicious sourdough breads. This class covers everything you need to know to create beautiful, mouth-watering sourdough bread at home. It begins with a brief discussion of bread science, techniques, ingredients and equipment. Then it's time to roll up your sleeves and get baking! 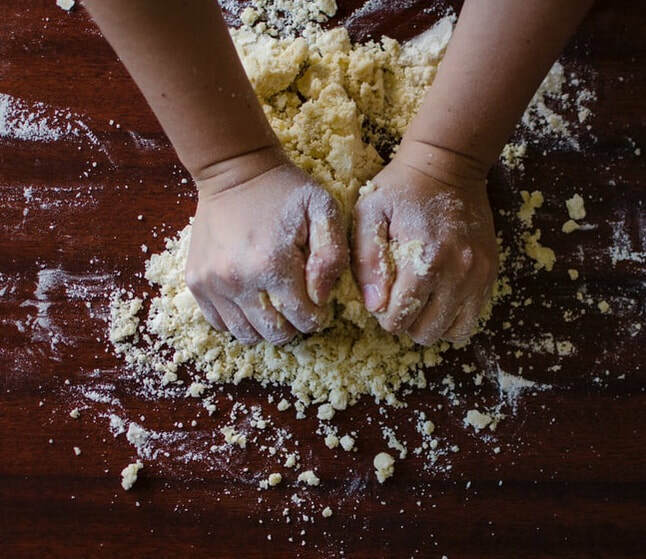 You'll learn every step involved in the bread-making process, including kneading, fermenting, shaping, proofing and scoring. You'll use your sensory knowledge to assess the readiness of the dough through look, taste, feel and smell. Bread will be baked and the results will be evaluated with ideas for troubleshooting. Each participant will bring home recipes and sourdough starter for countless loaves of home-baked sourdough bread.